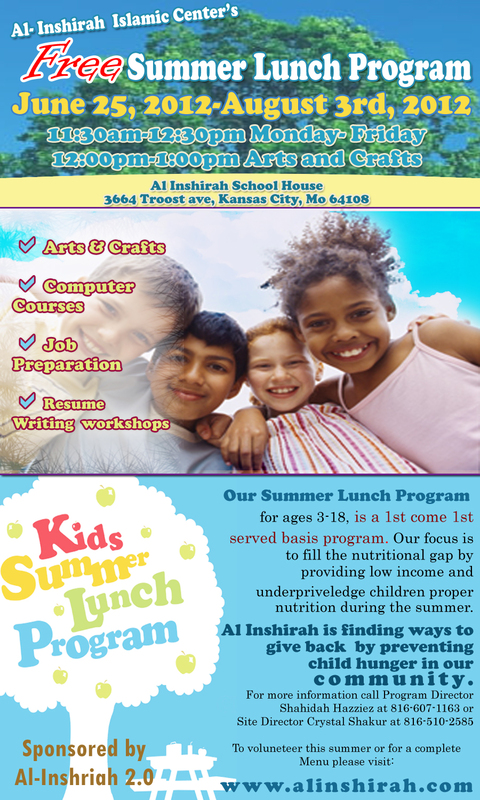 Our Summer Lunch Program for ages 3-18, is a 1st come 1st served basis program. Our focus is to fill the nutritional gap by providing low income and underprivileged children proper nutrition during the summer. Al Inshirah is finding ways to give back by preventing child hunger in our community. For dietary information and menu list please contact the above numbers. This is Sponsored in part by Al Inshirah 2.0 and Harvesters!